There’s definitely something to be said for a band giving itself time to mature and find its groove. 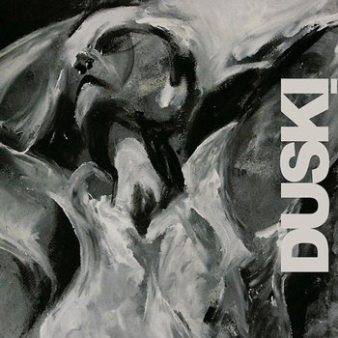 Duski’s self-titled debut release demonstrates the principle with every beat, ‘just-so’ pause and beautifully paced solo. The group is the brain-child of bass player Aidan Thorne and have been gigging, touring, developing their music and adding instruments to the original trio for more than four years since Thorne graduated from the Royal Welsh College in Cardiff. Their sound now leans towards rocky, sometimes ambient grooves, built around stripped back melodic hooks and looping sequences. There’s ample space for Dan Messore’s guitar and Paul Jones’ keyboards and synths to conjure atmospheres and densely layered textures whilst Greg Sterland’s throaty tenor weaves through the mix and swoops exultantly by turns. Spare Part calls a David Lynch soundtrack to mind (Thorne is a self-confessed Twin Peaks junkie) and Messore’s ambient washes and patiently climatic soloing stand out. Simple Song has a more funky propulsive groove and Jones builds the intensity with a swelling, rhythmic keyboards features. On Lakeside and Two Hours Long two languorous tunes with distilled and memorable melodic themes, the group’s collective sensibility really shows itself. Sterland’s tenor carries and develops the mood, delicious melodic invention judged to a tee, complemented by a distinctive hoarse and emotionally fraught tone. Messore doesn’t so much accompany as blend shimmering waves of sound around the tenor and bass and the pulse feels so natural as the music breathes, that you could miss Mark O'Connor.’s caressing touch at the drums. : Two exquisite performances. Another Simple Song’s pulsing, single note motif fits the title, the accelerating groove is a platform for another burning solo form Sterland. This is a finely crafted melodic and atmospheric set with a compelling group performance.